Samsung Electronics released a value pack update for the Gear S3 at the end of March that is currently available in major markets and will be available in other markets in the near future. Packed with enhancements that bolster the device’s utility and streamline users’ access to the information they rely on, the update, which also adds convenient functions to the Gear S2, reflects Samsung’s unwavering commitment to refining its smartwatches’ user experience. Speaking of lifting, exercising with the Gear S3’s Samsung Health app has also been enhanced, thanks to an improved user interface (UI) and new workout features. 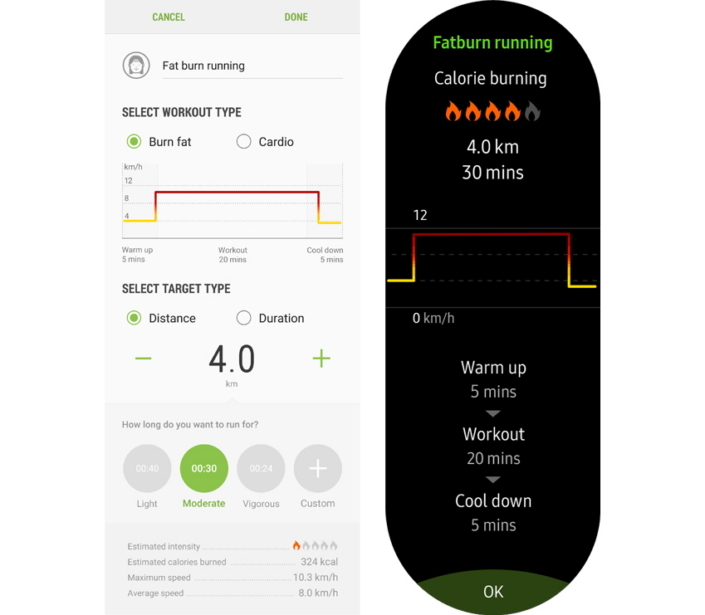 Now, when viewing workout results, users will be informed of how much time they spent in each heart rate zone via simple, color-classified graphs, and will also be kept abreast of their daily heart rate range. In addition, a newly added streamlined Stretching guide is activated after 50 minutes of inactivity and utilizes a counting sound to guide users through the activity. Other Samsung Health enhancements include the abilities to auto-locate and record approximate location for detected running or walking, as well as sync pace-setter running targets from the Samsung Health app on your phone with the Gear S3. Users who need a little reminder now and then to kick-start their workout routine can utilize the updated Reminder app, which now allows you to add specific dates for reminders delivered via S Voice. * This means that a command such as “Remind me to work out at 7:00pm this Sunday” will produce the desired alert on the desired day. The update also allows you to easily edit the titles of dictated reminders, and is compatible with the Gear S2. The Gear S3’s Accessibility features have been enhanced to offer users more control over their device’s display. Now, after activating ‘Direct access’ in the Accessibility menu, users will be able to enable new, readability-focused screen options including ‘Dark screen’, ‘Greyscale’ and ‘Negative colors’. Samsung has also made it easier for users to track down their Gear S3 in the event that it is misplaced. Now, under the Find My Gear section of the Gear Manager app, which allows users to lock their lost device remotely to prevent unauthorized use, users may add personal contact information, such as an email address or phone number, to display on the smartwatch’s lock screen. Other notable value pack additions include an auto-calibration option for the Alti/Barometer and a simplified Settings menu. Furthermore, with new complications for select watch faces**, users can control the music player (Play/ Pause) and check the date directly from the Gear S3’s watch face. The News Briefing widget can also be more easily navigated, thanks to an enhanced up/down button interface. Finally, for added convenience, the Stopwatch counting time has been increased from one hour to three hours. * S voice supports the following languages: English (US), English (UK), Spanish (US), Spanish (ES), French (FR), Portuguese (BR), German, Italian, Russian, Chinese (Simplified), Korean and Japanese. **The new Music complication is available on the Minimal, Blue Pop and Gear Dashboard watch faces, while the new Date complication is available on the Gear Dashboard watch face. *** The user’s Gear S3 and smartphone must be synced in order to download the value pack update.